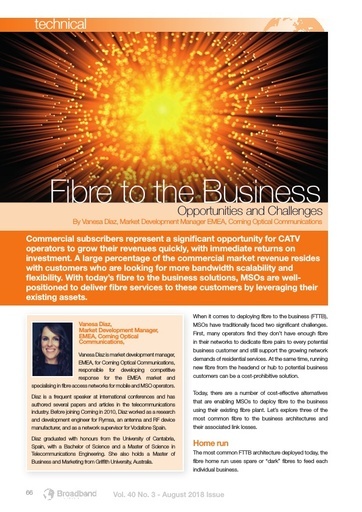 Commercial subscribers represent a significant opportunity for CATV operators to grow their revenues quickly, with immediate returns on investment. A large percentage of the commercial market revenue resides with customers who are looking for more bandwidth scalability and flexibility. With today’s fibre to the business solutions, MSOs are wellpositioned to deliver fibre services to these customers by leveraging their existing assets.